Some drivers, thinking about other things, you can go without noticing the tightened manual brake. This type of movement hurts the braking system of the vehicle. If you happened to such trouble, immediately remove the e-brake and test the brakes the car independently or with the help of specialists. To pull on the handbrake and continue is not easy, but possible. Often this sin beginners excitement forget the movements that experienced drivers performed on the machine. It suffers from the whole braking system especially the brake on the rear wheels. Some modern cars have built-in protection from riding on the handbrake, which activates the audible signal if the lever is raised or lowered, but not completely. To react to the warning immediately as soon as you hear preduprejdali sound. The older machine is also able to notify the owner about forgetfulness, but in the form of a glowing icon on the dashboard. Most often it is presented in the form of burning or a flashing red exclamation mark, noting that you should immediately lower the handbrake. Driving with the Parking brake, it's hard not to notice how the car is moving. If you think that the car is going slower than usual, you have more pressure on the gas for development at least some speed, and the hill in General, go does not work, check whether the cause of this activated handbrake. After long movement on the handbrake, you may notice an unpleasant odor that occurs from overheating the brake pads. To brake is not denied at all, you must stop as soon as your nose smells something strange. To check how your forgetfulness managed to hurt the car, reach the small hill. 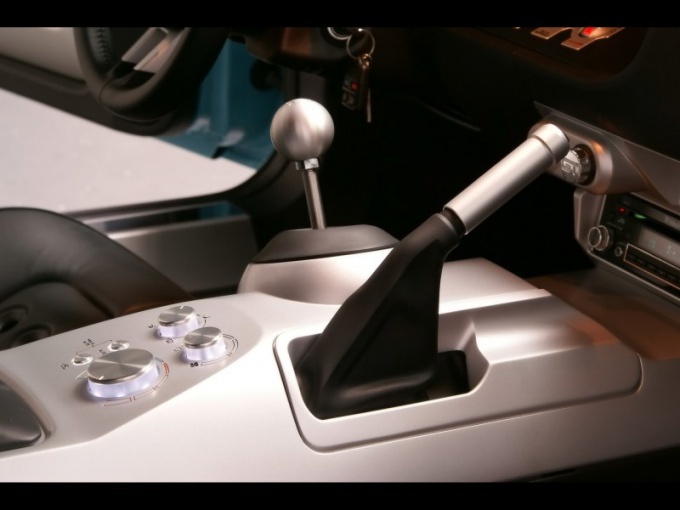 In a running the car turn the transmission into neutral, tighten the handbrake, slowly release the foot brake. If the car starts to roll, then rear brakes ceased to fulfill their direct function, and the only place you can still go to the nearest shop. If you are not sure your handbrake, as a General rule, when Parking your car always just to tighten a brake, and engage the gear. This is especially true on hills. Depending on how the iron horse, put it in first or reverse gear to prevent it rolling down the slope.